← Wild about photography ? Dogs are brilliant at getting people out walking, on even the most dreich of days. No wonder then that a dog is taken on half of all visits to Scotland’s coast, countryside and urban greenspace. But while research links pet dogs with better physical, mental and social well-being for their owners, irresponsible dog-walking causes problems for farmers, wildlife and other visitors alike. These problems include people not picking up after their dogs or leaving dog poo hanging in trees and out of control dogs worrying wildlife, livestock and people. 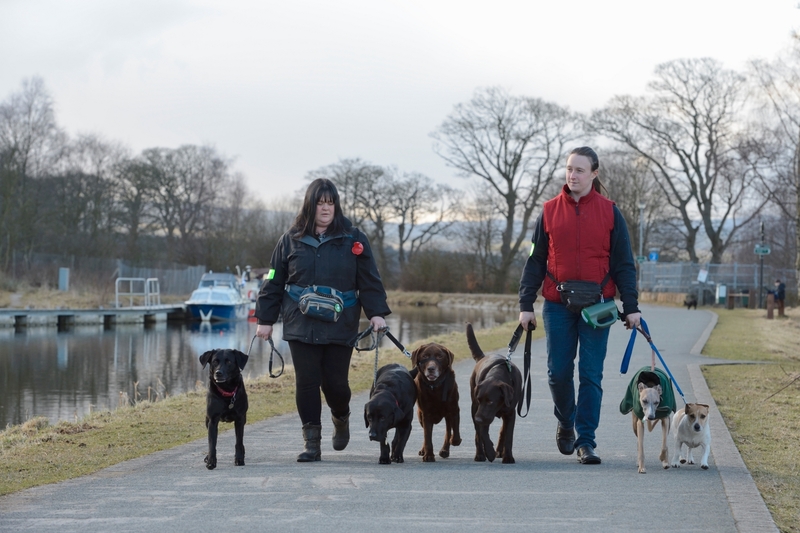 Commercial Dog Walkers near the Falkirk Wheel. Although advice in the Scottish Outdoor Access Code – backed-up by signs and leaflets – does help, the Communications Team at Scottish Natural Heritage (SNH) recognises that creative thinking and new approaches are needed to reduce problems even further. Their latest initiative targeted commercial dog walkers in the Central Belt. While these companies provide a vital service when dog owners are at work or ill, they also have greater potential to cause problems, as they often walk a greater number of dogs more frequently. And so we worked with The Kennel Club, Scottish Kennel Club, and Your Dog magazine to promote the event as positively as possible. 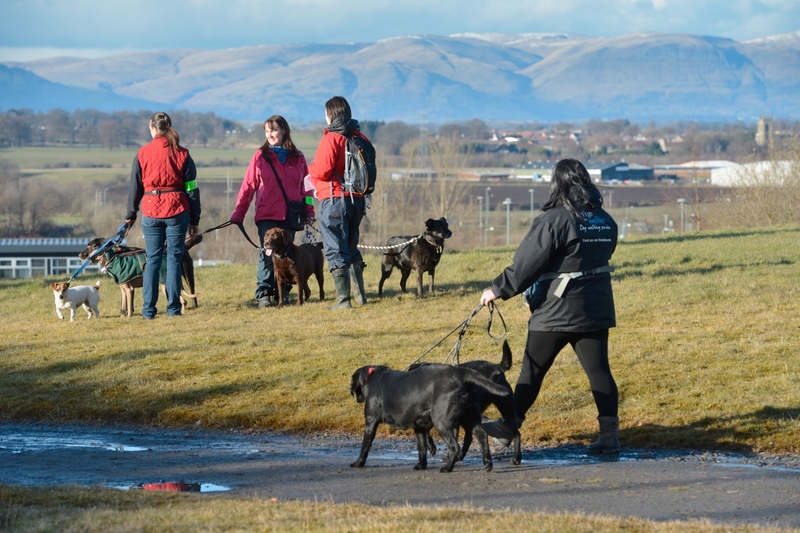 An evening workshop to explore the opportunities with 40 commercial dog walkers was held last February, at the Falkirk Wheel conference centre. The workshop included Falkirk Council’s pioneering Green Dog Walkers initiative and East Lothian Council’s award-winning voluntary accreditation scheme for commercial dog walkers. The evening was rounded-off with local vet Stephen Champion’s top tips for safe and happy dog walking, and a responsible dog-walking goodie bag for everyone. The event was hosted by the Kennel Club’s Orkney-based Access Advisor Stephen Jenkinson. Although a life-long dog lover, Stephen is also passionate about wildlife and the welfare of farm animals, and manages his 18 acre landholding under a Scottish Government Rural Priorities scheme for ground-nesting birds. And our optimism was well-founded. Attracted by a free draw for tickets to Crufts dog show, workshop participants completed anonymous online surveys, to help us to better understand their work and the workshop’s impact. 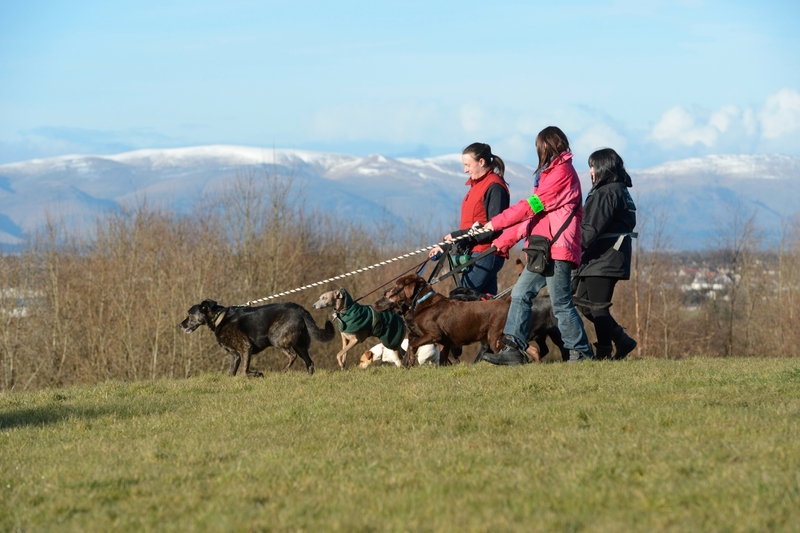 Encouragingly, the survey found that after attending the event, 96% of participants were more likely to tell their customers about the Scottish Outdoor Access Code, with 83% more able to explain what responsible dog walking means. Better still, half the participants planned to contact their local councils about setting up community-based responsible dog walking initiatives, and accreditation schemes for commercial dog walkers. Given this success, we are now planning a further four or five workshops this autumn and an event for access professionals early in 2014. These will aim to inspire commercial dog walkers elsewhere in Scotland to become community advocates for responsible access taking by all dog owners. We plan to finalise details for these events in the next fortnight and once we have we’ll advertise them on our Facebook page and on our Scottish Outdoor Access Code website – visit www.jessthedog.org.uk. In the meantime if you would like to register your interest then please email us at RECREATIONANDACCESS@snh.gov.uk. This entry was posted in Projects and tagged Access, Access Advisor Stephen Jenkinson, dog walking, Dogs, Green Dog Walkers, Kennel Club. Bookmark the permalink.